Read the 2018 Madrid real estate report to learn how key metrics in the Madrid housing market moved in 2018 and discover important new trends. Madrid real estate prices continued their upward trend in 2018. The average price per square meter increased to 3,846€. Prices were up 17.07% from 4Q17 and 31.68% from 4Q16. If you think this seems like a big move for the Madrid housing market, you are correct. However, the real news is that they only increased 0.32% from 3Q18 to 4Q18. This means that the market appears to be stabilizing, which is excellent news for those that were worried we were experiencing a real estate bubble. This was the question everyone asked a year ago. This blog clearly stated that no, we are not. Rather we were experiencing structural changes that would cause the Madrid housing market to have higher equilibrium prices than in the past. Recent recent data supports this claim. Prices have slowed their rate of increase and people are investing in less traditional neighborhoods, which is the sign of a healthy real estate market. Barcelona is experiencing significant capital flight in response to the Cataluña Independence movement. There is now only one Catalan domiciled company listed on Spain’s blue-chip Ibex 35 stock market index. When firms leave Cataluña, they take jobs with them. Madrid has invested heavily in infrastructure and changed laws to make the city more friendly to foreign investment. These changes filter down to the real estate market. The ITP, which is the tax on second hand property purchases, is now 6%, the lowest in Spain. In comparison, Barcelona’s ITP is 10%. Madrid has also introduced Airbnb regulation less strict and more transparent than issued by the Barcelona authorities. Interestingly, prices in Valencia saw the next biggest increase after those in the Madrid housing market, followed by Logroño. Much of the movement in Valencian prices was due to foreign investment around Alicante. We are definitely seeing a shift in property investment away from the traditionally high priced areas in Barcelona, Ibiza and Costa del Sol towards cities not as popular, historically, for property investment. The big news is that prices in non-traditional neighborhoods are increasing more rapidly than those in Chamberí or the Center. This is to be expected in a property market that has seen rapid increases. The only constant is that Salamanca continues to post the strongest price increase amongst neighborhoods. That certainly helped prices in adjacent Retiro, where prices achieved almost equally strong gains. However, as we discussed in our year end 2017 Madrid Real Estate Report, there is still significant variation in pricing across neighborhoods. One of the most interesting developments is that property prices in Charmartín are now higher, on average, than those in the Center. This bodes very well for Madrid’s economy, and the Spanish economy as a whole. 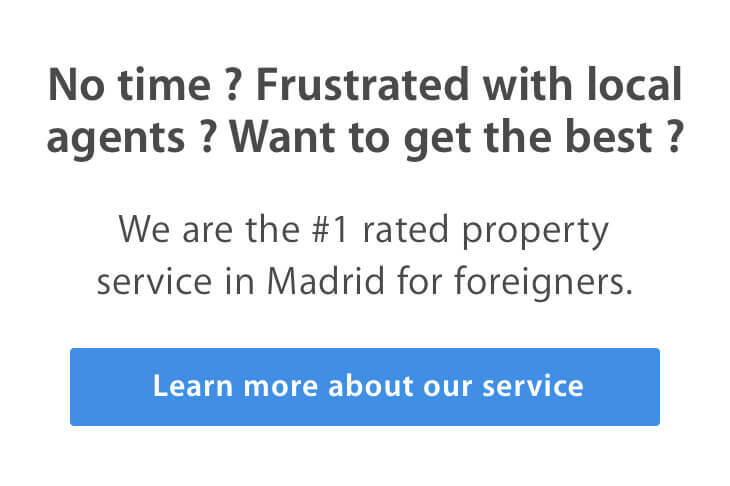 This is because Charmartín is close to the business district of Madrid. If home prices are increasing in that neighborhood, it is safe to assume this is because Spanish businesses are earning more. This is good news for our clients. Moving2Madrid focuses on purchasing real estate in the Center of Madrid. This is because it has a risk profile similar to US bonds, rental terms are versatile (you can rent your apartment on Airbnb, monthly or long-term) and has a number of undervalued apartments. As other property shoppers look to the north, our clients will benefit from greater choice and more stable prices in the Center. Do you want to learn how you can take advantage of the variation in Madrid property prices to achieve the optimal return on your investment? Arrange a FREE CONSULTATION TODAY to speak with one of our property experts. On average, Madrid rental prices increased in the first three quarters of 2018- Then they dropped slightly in 4Q18, to an average of 16.2€/m2. However, each neighborhood performed very differently. Salamanca saw a drop in rental prices, whilst rental prices consistently increased in Chamberí and Retiro. Although there is a little fluctation, rental prices appear to be stable in the Center, at 18.0€/m2. With the exception of the Center and Retiro, rental prices decreased in neighborhoods with stong property price appreciation. The obvious conclusion is that people in those markets are choosing to buy rather than rent. A year ago, we noticed that rental prices increased more slowly than real estate prices. This was particularly true in less premium neighborhoods of the Madrid housing market. Chamberí saw the smallest compression in rental yields, followed by the Center. This trend continued throughout 2018. Rental yields in Chamberí and the Center were the most stable. The only material change from 2017 is that yields in Salamanca compressed more than in previous quarters. As the Madrid housing market has some of the highest rental yields in Europe, we don’t find this particularly alarming but we will continue to monitor the quarterly data. Foreign buyers continue to invest in Spain. There are already 25% more foreign buyers in Spain in 2019 than there were in 2007. Historically, overseas purchases were focused on the Mediterranean coastline- primarily in the Comunidad Valenciana and Andalucía. However, we are starting to see foreign investment coming to Madrid. This is due to a number of factors. Most notably, Barcelona becoming more closed and xenophobic and the Spanish economy’s strong growth. The Spanish interest rate, which is set by the European Central Bank, is at an all time low: 0.0%. This makes getting a Spanish mortgage a very attractive option, which we believe will continue to support Spanish property prices. If you are interested in getting a Spanish mortgage, read How to get a Spanish mortgage as a foreign buyer. Airbnb legislation in Madrid continues to be in the news. The Government said it would start enforcing the new legislation, which requires all tourist rentals to be registered with the city, later this year. There are many people that think the legislation will not be enforced. Current events, such as the regional goverment’s unwillingness to meet the demands of striking taxi drivers and curb Uber’s actions, signals that they are quite rational with respect to new sharing economy businesses. Madrid’s conservative regional chief, Ángel Garrido, went on record saying that Barcelona and Catalonia are “heading to the Middle Ages.” Read this article to learn why Madrid is the best city for Airbnb investment. The Madrid real estate market is stabilizing. It is still fastest growing in spain and performing better than Barcelona’s.